Isaac Diaz became the second saddle bronc rider in two nights to ride for at least 90 points. He won Saturday’s third round. Team roping: 1. Derrick Begay/Cory Petska, 4.0 seconds, $26,231; 2. (tie) Aaron Tsinigine/Trey Yates and Riley Minor/Brady Minor, 4.1, $18,193 each; 4. Cody Snow/Wesley Thorp, 4.2, $11,000; 5. (tie) Kaleb Driggers/Junior Nogueira, Clay Smith/Paul Eaves and Luke Brown/Jake Long, 4.3, $3,667 each. Saddle bronc riding: 1. 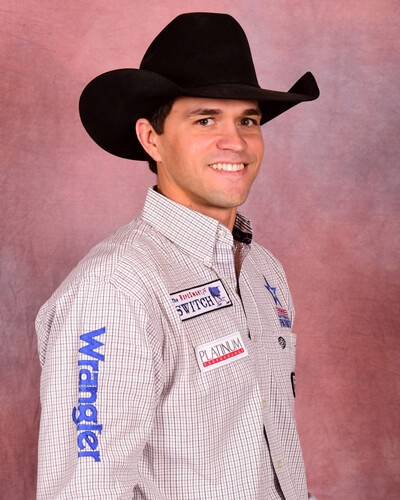 Isaac Diaz, 90 points on Sutton Rodeo’s South Point, $26,231; 2. Jake Wright, 89.5, $20,731; 3. Chase Brooks, 87, $15,654; 4. CoBurn Bradshaw, 86.5, $11,000; 5. (tie) Zeke Thurston and Wade Sundell, 86, $5,500 each. Tie-down roping: 1. Marty Yates, 7.0 seconds, $26,231; 2. (tie) Sterling Smith, Rhen Richard and Jake Pratt, 7.3, $15,795 each; 5. Ryle Smith, 7.5, $6,770; 6. Caleb Smith, 7.9, $4,231. Barrel racing: 1. Amberleigh Moore, 13.59 seconds, $26,231; 2. Jessica Routier, 13.62, $20,731; 3. (tie) Stevi Hillman and Hailey Kinsel, 13.67, $13,327 each; 5. Kylie Weast, 3.7, $6,770; 6. Ivy Conrado, 13.74, $4,231. Bull riding: 1. (tie) Sage Kimzey, on Rosser Rodeo’s Custer, and Tyler Bingham, on Salt River Rodeo’s Rocky Road, 88 points, $23,481 each; 3. Dustin Boquet, 84.5, $15,654; 4. Jeff Askey, 83.5, $11,000; 5. Joe Frost, 83, $6,769; 6. Trey Benton III, 81.5, $4,231.